John William Croft was born to James Thomas Croft and Annie, née Bassett, on 20 January 1871 in Newcastle, New South Wales, the second of ten children. His grandfather, James, who spelled his name ‘Crofts’, had been transported for life for highway robbery, and after a brief time in Van Diemen’s Land, was sent to Newcastle where he was appointed an overseer in the gaol (perhaps because he had been a military officer in the Napoleonic Wars) and later a gaoler. He married another convict, Mary Smith, who became matron of the gaol. Mary died in 1841, and James quickly married a potato-famine refugee, Maria Brown (or Brennan), the mother of James Thomas. The family endured mixed fortunes until the 1880s, with James and James Thomas being declared bankrupt at various times. James Thomas’ family lived in Union Street, Tighes Hill, in a modest suburban cottage close to Throsby Creek and high enough to catch the sea breezes from the port. They moved in the late 1920s to Nesca Parade on the hill in the city. At the time of John William’s birth, his father’s occupation was described as that of labourer, though by the turn of the century he seems to have become a successful businessman. In 1885, he was elected to the Wickham Council, becoming mayor (1910–11). In 1929, James Thomas was noted to be the oldest native-born resident in the city. Like his siblings, John William was educated at the local primary school, Tighes Hill Public, and apprenticed as a bootmaker. The family at this time were about to enter a period of considerable prosperity based on their acquisition of a monopoly for the supply of water to shipping in Newcastle Harbour, a monopoly which was to survive until themid-1960s. Living by, and perhaps working in, a booming international port, as Newcastle was in the late nineteenth century, John William seems to have abandoned bootmaking and gone to sea. He is next reported in Western Australia after the family in Newcastle disowned him when he married without their approval. 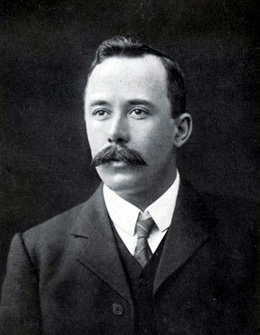 In Western Australia in the 1890s, Croft again took up life ashore, returning to his original trade and involving himself in trade union politics. From 1888 to 1903, he was secretary of the executive of the Political Labor Party in Western Australia. He had first made his reputation in the labour movement in the Bootmakers’ Union, becoming a delegate to, and then secretary of, the coastal Trades andLaborCouncil. Despite the Bootmakers’ dislike of Federation, Croft was a foundation member of the West Australian Federal League. Undeterred by the Trades and Labor Council’s withdrawal of support for Federation, Croft became secretary of the executive of the Federal League. George Pearce, who would be a senator in the first Federal Parliament, was its president. In 1901, Croft was appointed one of three members of the royal commission inquiring into the costs of mining coal at Collie and the adequacy of miners’ wages. His dissenting report, in which he makes the case for an increase in miners’ wages, is meticulously documented from Newcastle sources, is concisely and confidently argued, and shows a detailed knowledge of labour practice in mines. Croft’s reward for his commitment to Federation came in 1903 when he was nominated as one of the Labor candidates for the December 1903 election. A Free Trader, he had campaigned vigorously in Perth and elsewhere in the statefor compulsory arbitration, the nationalisation of monopolies, old-age pensions, and for regulations to ensure that only whites would be employed on mail steamers entering Australia. In the Senate, Croft seems to have played a supporting role to his long-time associate, George Pearce. Croft’s attendance at sittings was dutiful but not exemplary, and declined in later years, possibly as a result of personal difficulties. He seems to have been a sword-bearer rather than a leader. He was passionate on those issues which concerned working conditions and the status of the labour movement. He spoke out for equal pay for women in the Commonwealth public service, for state employment of day labour in public works and private firms, for the rights of unionists under the arbitration legislation, and against Yass–Canberra as the site for the national capital. He was not afraid to argue against Pearce if he felt strongly about an issue. In many of his speeches, he drew cogently on his own working experience, but not in a self-conscious or self-aggrandising way. His speeches were measured with a down-to-earth common sense. Croft is reported to have been a ‘popular’ figure in trade union circles, but this did not protect him from damaging controversies. In May 1901, one of the unsuccessful Western Australian candidates, Henry John Saunders, petitioned the Senate against the election of Alexander Matheson on the grounds that Matheson had used bribery during the elections, specifically paying £50 to Croft to influence members of the Political Labor Party and the Trades and Labor Council of Western Australia to advance Matheson’s cause. The subsequent report by the newly constituted Senate committee of elections and qualifications did not pass judgement on these allegations, but dismissed the petition on the grounds of its late submission. As bad as these allegations were, the personal consequences of a successful defamation case against Croft by E. L. Lobstein were worse. In 1903, after protracted attempts to build a Trades Hall, a site was secured, and Lobstein, a goldfields unionist, was asked to manage the legal side of the transaction. Without the knowledge of the trustees, Lobstein ‘had the grant made to the Eight-Hour Demonstration Committee, on which he and his fiancée constituted a majority’, and then successfully sued Croft, as secretary of the Trades and Labor Council, for defaming him. As a result, Croft was in danger of bankruptcy, and consequent expulsion from the Senate, but Pearce arranged for the payment of damages.Nevertheless, Croft was so dispirited he did not stand for the Senate in 1910. On 22 June 1891, Croft, then twenty, married Emma, née Bracey, in Brisbane. It appears that they had at least four children—May Clara, Ethel Elizabeth, Hartle Bracey and Roy. From 1904 until 1910, Croft lived in Melbourne with his sister, Alice. In 1974, his niece, Stella Howarth, recalled her memories of him from the first decade of the century. She considered that, partly as a result of the defamation case, John William had been heading in the same direction as his wife—that is in regard to an overuse of alcohol. The story goes that Alice kept him under some gentle restraint, sending her daughter, Stella, to Parliament House to meet him on his monthly pay day, because she thought that he would not drink if Stella were with him. If John William Croft’s origins are not shrouded in mystery, there are hiatuses in his career which can only be filled by family traditions and little in the way of hard fact. John William’s death, like his appearance in Western Australia, is a mystery. Despite intensive inquiries, no death certificatehas been found for him in any part of Australia. In 1967, a family member recorded in the Newcastle Morning Herald that John William disappeared in the Pacific islands while on a ‘mission’ (possibly at some time in World War I). That is intriguing enough, but in 1975 Professor Joan Rydon was told by Stella that Alice had given him money at some time in 1913 or 1914 to buy a lugger for a voyage to Uruguay and that he had set out for Montevideo, but was never heard of again. There are reports that he was at his mother’s funeral in Newcastle in 1925. The fact that he is not listed as deceased on his father’s death certificate of 1929, does not dispel in itself another report that he died before his father. A tradition in Perth has it that he committed suicide and that it was hushed up. If that were so, it was a sad and premature end to a man who had risen quickly from obscurity to become a senator in the Commonwealth Parliament, and who had done much to advance the cause of organised labour in which, like so many of his generation, he believed passionately. So much so, that had he lived, and remained in the Senate, it is hard to imagine he would have made the accommodations his mentor Pearce made with conservatism. Anon., City of Newcastle 1929, Davies & Cannington, and Reg. C. Pogonoski, Newcastle, 1929; Leicester Assizes, 26 March 1817; Government Service, Newcastle, 1822 and 1825; Newcastle Morning Herald and Miners’ Advocate, 1 July 1942, p. 2; Bankruptcy, 27 December 1847, no. 1714, 2/8814 and bankruptcy, 28 July 1876, no. 12994, 2/9620, SRNSW. Letter, Joan Rydon to Julian Croft, 22 October 1974; ‘Truthful Thomas’, Through the Spy-glass, Praagh & Lloyd, Perth, 1905, pp. 51–52. Morning Herald (Perth), 9 September 1899, p. 8; John Bastin, The West Australian Federation Movement: A Study in Pressure Groups, MA thesis, University of Melbourne, 1952, p. 41; George Pearce, Carpenter to Cabinet: Thirty-Seven Years of Parliament, Hutchinson & Co., London, 1951, p. 37; Peter Heydon, Quiet Decision: A Study of George Foster Pearce, MUP, Carlton, Vic., 1965, p. 16; H. B. Lefroy, Federation, Perth, Western Australian Federal League, 1900, Pam., NLA; WAPP, Report of the royal commission on the Collie coal dispute, 1901. West Australian (Perth), 10 December 1903, p. 8, 16 December 1903, p. 7, 24 December 1903, pp. 3, 7. CPD, 29 June 1904, p. 2772, 11 August 1904, p. 4111, 9 April 1908, p. 10389, 23 November 1905, pp. 5677–5678, 28 November 1905, p. 5798, 29 November 1905, p. 5905, 26 October 1905, pp. 4119–4120, 14 December 1905, pp. 6968–6969, 4 November 1904, p. 6559, 3 November 1904, p. 6472, 4 November 1904, pp. 6534–6535, 29 July 1909, pp. 1776–1777, 28 November 1905, pp. 5823–5824, 4 December 1908, pp. 2713–2714, 8 December 1908, pp. 2820–2821, 14 December 1905, p. 6934, 17 August 1905, pp. 1078–1088. Heydon, Quiet Decision, p. 16; CPP, Reports of the committee of elections and qualifications upon the petition of Henry John Saunders, 12 July, 3 October, 11 October 1901; D. J. Murphy (ed. ), Labor in Politics: The State Labor Parties in Australia 1880–1920, UQP, St Lucia, Qld, 1975, p. 363; Australasian (Melbourne), 6 June 1908, p. 1408; Information from Bobbie Oliver, Curtin University of Technology, Perth. Letter, Joan Rydon to Julian Croft, 22 October 1974. Newcastle Morning Herald and Miners’ Advocate, 22 March 1967, p. 2; Letters, Joan Rydon to Julian Croft, 22 October 1974, and Joan Rydon to Geoffrey Bolton, 11 September 1973 and 29 June 1973. This biography was first published in The Biographical Dictionary of the Australian Senate, vol. 1, 1901-1929, Melbourne University Press, Carlton South, Vic., 2000, pp. 353-356.